This project done with Rene Gonzalez of Rene Gonzalez Architect, Miami, explores multiple ways in which interior space and exterior space can be blurred. This landmarked Streamline Moderne 18,000 square foot house sits on a two acre lot on the ocean and was designed in 1936 by Maurice Fatio. Fatio originally designed the house as a series of open air living spaces of varying degrees of enclosure from open terraces to partially enclosed covered rooms. Breezeways connected many of the program elements to each other. 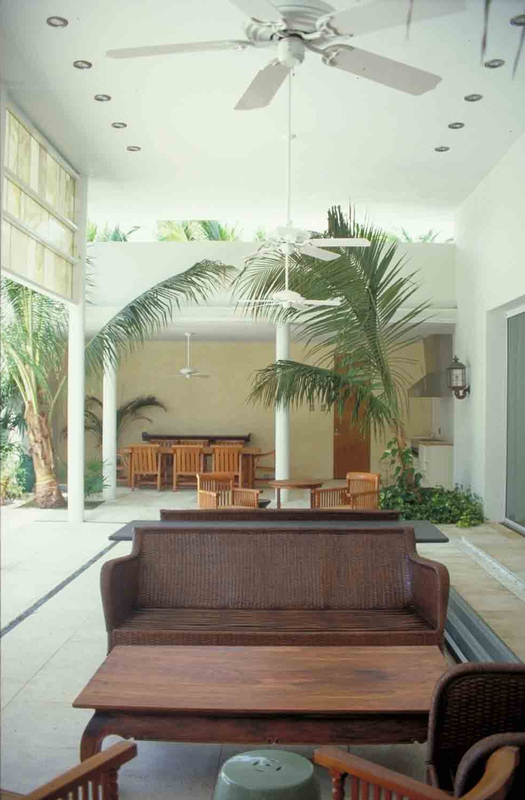 His design heightened the sense that the beach and its breezes flowed through from the gardens and courtyard to the west to the open beachfront on the east. We were tasked with rehabilitating the house that had been through multiple renovations taking it far from the original design intent and with extending its landscape and interior spaces. Expanding on Fatio’s concepts, complimentary expressive subtle natural materials were introduced in the landscape, intermediate and interior spaces. And a new scale of intervention was inserted as well. Translucent onyx panels and metal framed wood louvers filter heat, light and view to make a changing experience of the site throughout the seasons and the day and making the colors, textures and light of the ocean a feature of the architecture as one moves through the house. 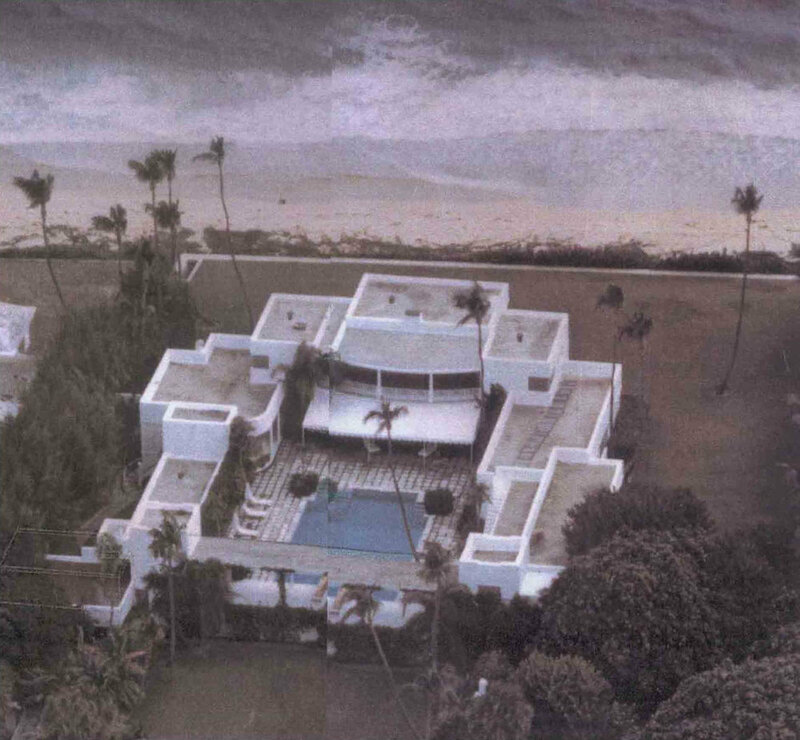 This project was built by Jim Woolems of Woolems Inc Contracting, Palm Beach, Florida.